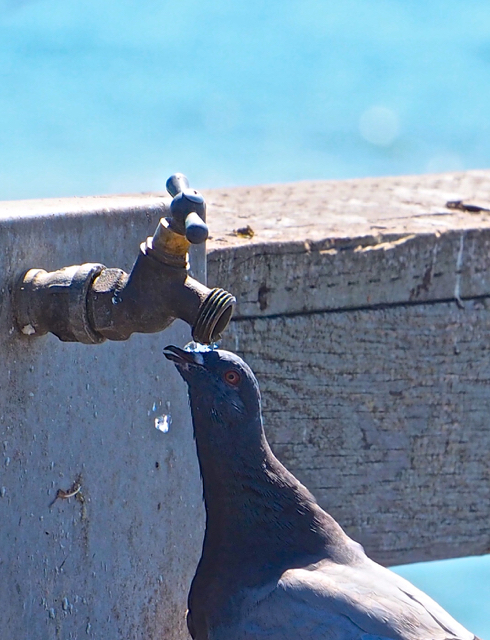 On the pier at Santa Cruz beach, I found these marvelous birds making the most of a leaky faucet. 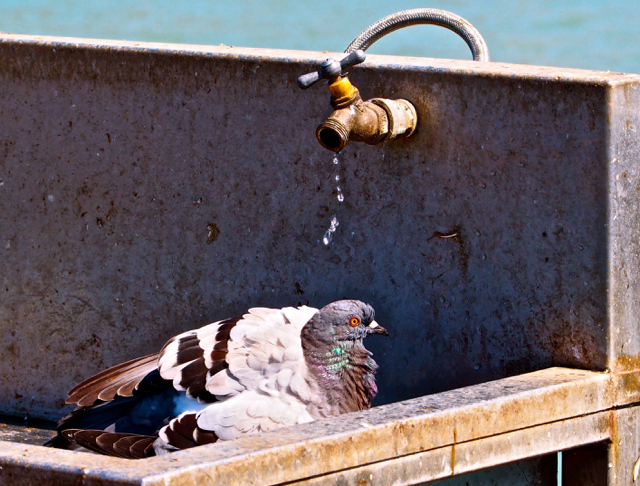 Waiting patiently for their drip bath…. It was delightful. Thank you, Cee. I love how you capture extraordinary beauty in seemingly ordinary, everyday occurrences. I feel privileged to be able to see the world as you do through your camera lens. Thanks for sharing!! How awesome you are, Alice. You inspire me to keep on keeping on. Thank you many times over. Love that last picture, just caught the water falling. Super! What happy birds. And so smart. Bless you, Sher. This reminded me of our trip to Seaside Heights, walking the boardwalk. 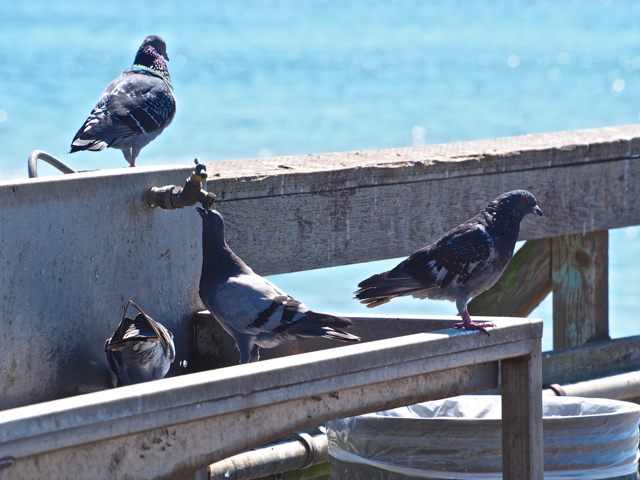 Thank you….they didn’t mind me snapping their photo while bathing. Not everyone would be so gracious….Hah!